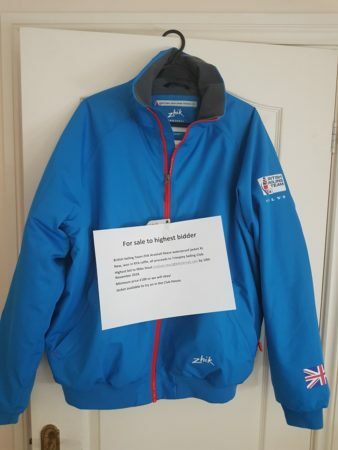 New, won in RYA raffle, all proceeds to Trimpley Sailing Club. Highest bid to Mike Stout ( michael.stout@btinternet.com ) by 10th November 2017. Minimum price £100 or we will ebay! Jacket available to try on in the Club House.